Having just enjoyed the chewiness of a donut made with potatoes, I was on the hunt to find if other vegetables were used in donuts. 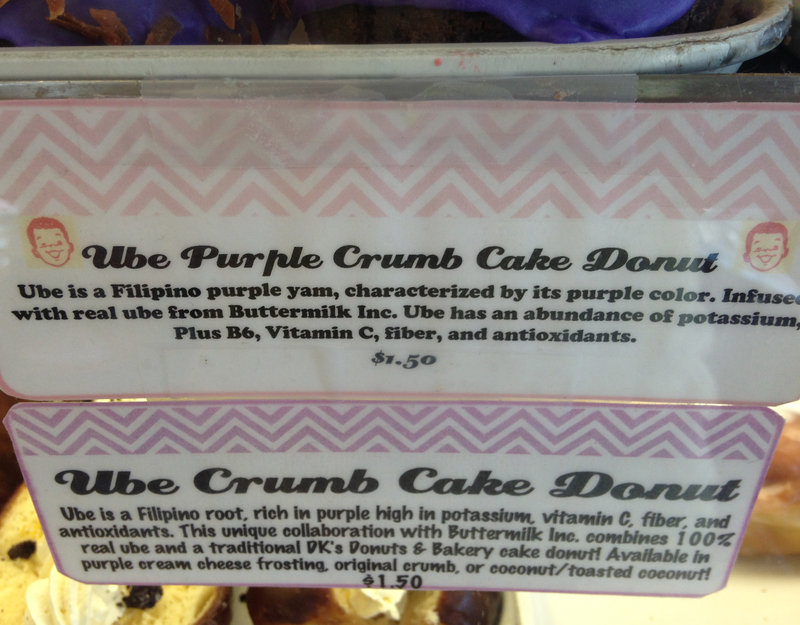 Luckily, I was able to discover something that Filipino families have known about for generations: Ube. Ube is a purple yam and is used to color food as well as flavoring them. When cooked with sugar, it can be made into a variety of sweetened desserts or jams. 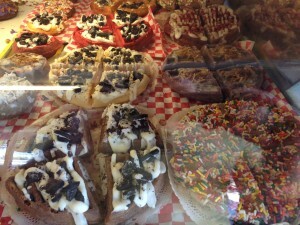 DK’s Donuts in Santa Monica, CA is one of the few shops around the country that uses Ube in its donuts. It’s a family owned bakery and probably the most creative donut shop in Santa Monica. 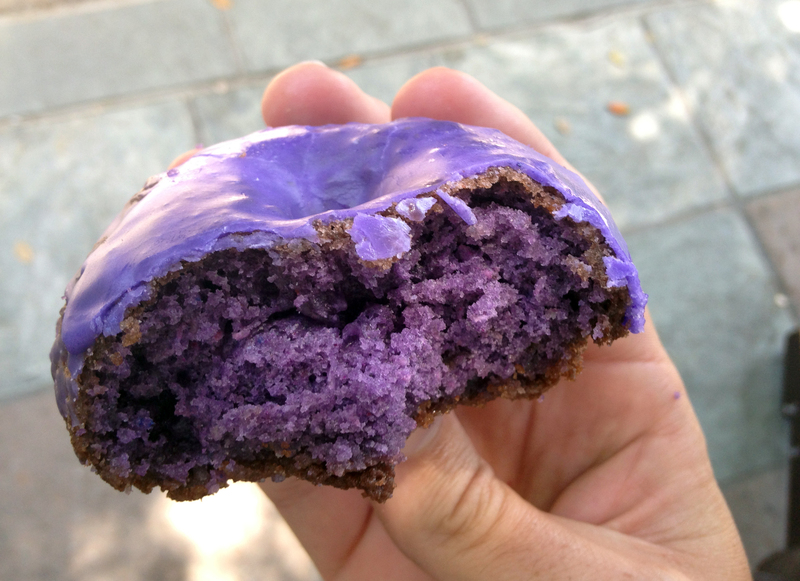 In addition to their crazy donut toppings, their “Wownuts” (which is a made-to-order waffle/donut hybrid), and their “O-nuts” (their version of a cronut), they also produce several kinds of Ube Purple Yam Donuts. There’s the original purple crumb, the purple cream cheese frosted, the purple toasted coconut, and the purple pistachio donut. 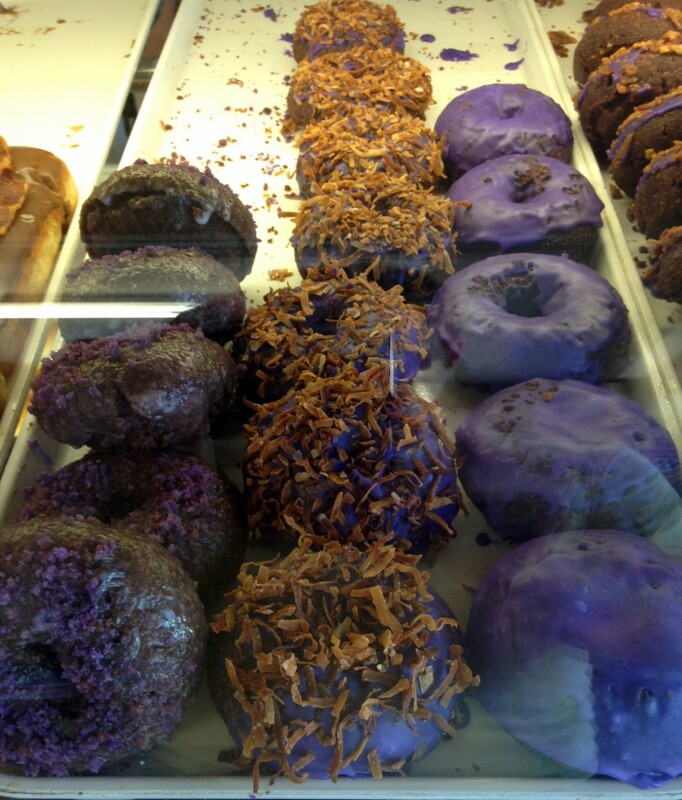 Purple is the color of prosperity for Filipinos, so these donuts must be super prosperous. 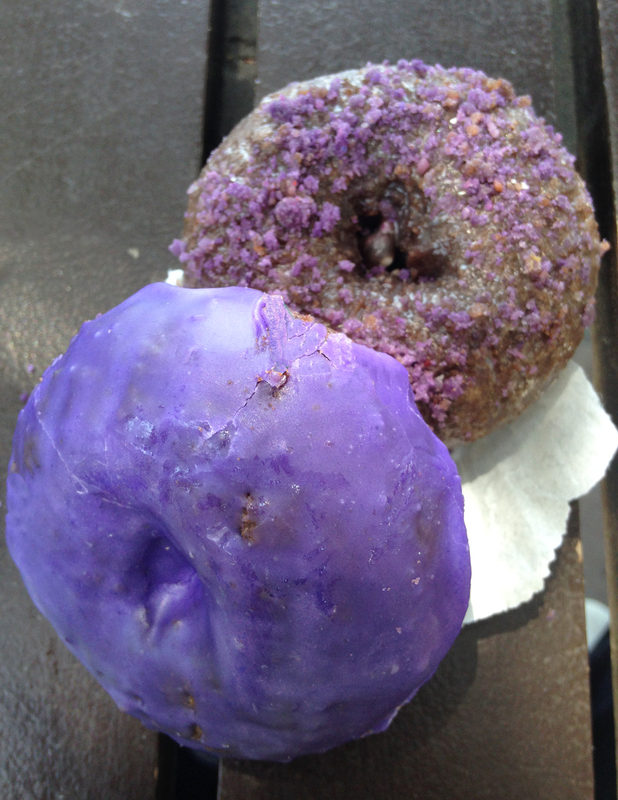 The donuts were quite purple (nice that it’s with natural ingredients instead of food coloring). 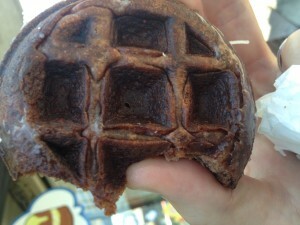 There was a slight crunch on the outside while the inside was soft and moist. Each topping variety had hints of several spices and subtle notes of chocolate. 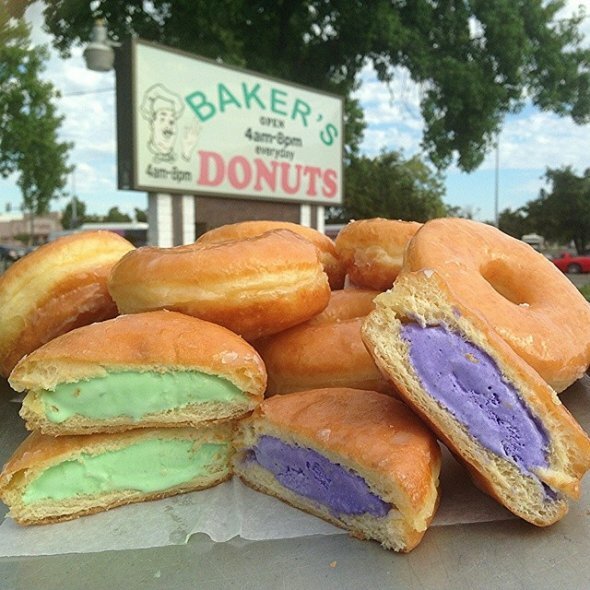 North of DK’s Donuts in Sacramento, CA is another California donut shop having some fun with Ube. Baker’s Donuts can’t keep their Ice Glazers on their shelves. These summer donuts are each filled with exotic ice cream flavors. 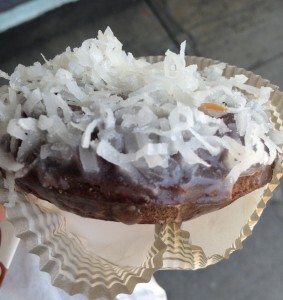 Baker’s begins by making plain, yeast donuts. Once someone places an order for an Ice Glazer, they split each fried treat open and stuff them with ice cream. Their flavors range from Thai tea, green tea, pandan (green coconut), and, our friend, the Ube Purple Yam. All the ice cream comes from Pittsburgh-based Magnolia Tropical Ice Cream. 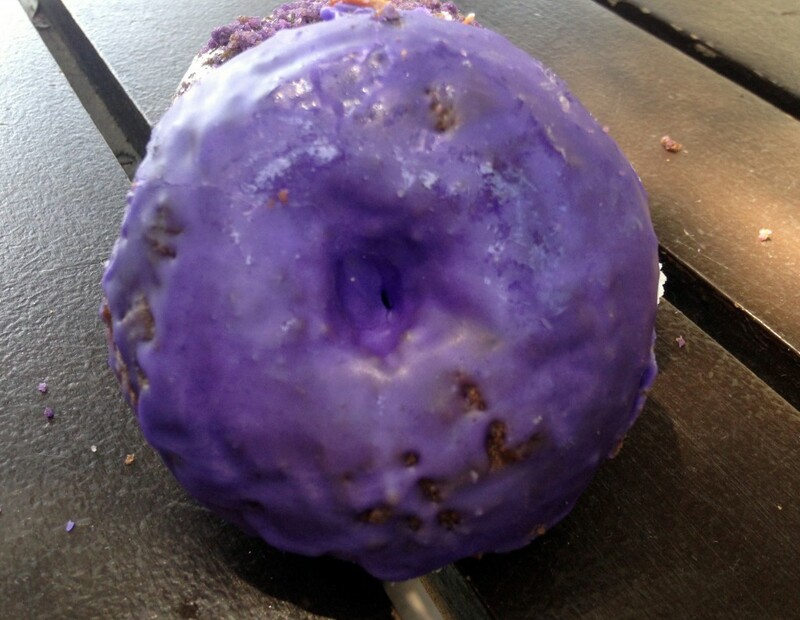 Don’t donuts look great in purple?